From cultural to historical, educational or whimsical – Toronto offers a multitude of attractions suitable for any day of the week. All of these attractions are either within walking distance of Union Station in downtown Toronto, or a short ride on the city’s transit system. For visitors planning to see multiple attractions, a City Pass offers admission discounts and VIP access. 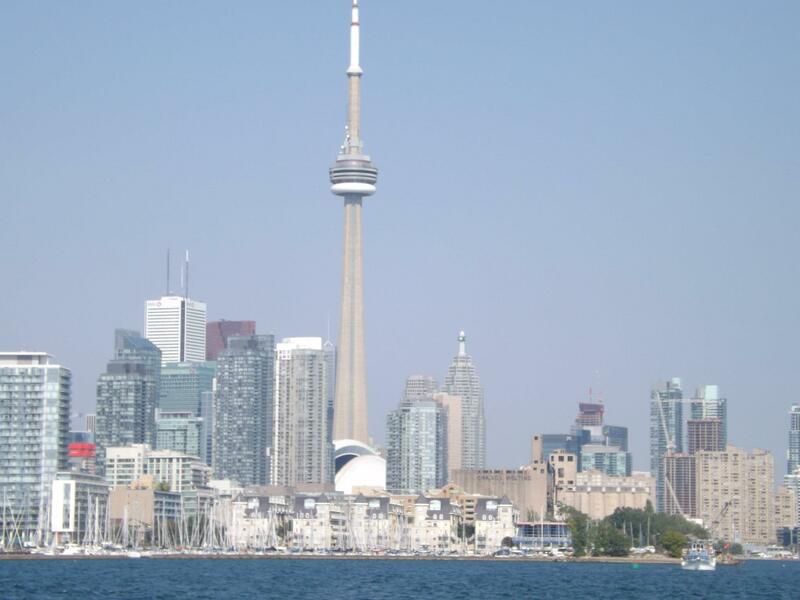 Whether you’re in town for vacation, or enjoying a short term rental on a business trip, we highly recommend the following top 10 places to visit in Toronto. One of the city’s largest shopping attractions – the Eaton Centre – features an arched glass ceiling that not only allows natural light to filter through, but is also of architectural interest. From bargain hunters to high-end shoppers, the shopping centre houses more than 250 stores making for an enticing shopping experience. Although it’s no longer the tallest spire in the sky, at more than 1,800 feet, the CN Tower is a classic way to see the heights of Toronto. Rather than opting for the price of admission, book a reservation at the Tower’s 360 restaurant and enjoy exceptional dining with the view. Step back in time to an era of European splendor at Casa Loma. The home of former financier Henry Pellat, the majestic Canadian castle features exceptionally decorated suites, hidden tunnels and passageways and a five-arcre garden perfect for exploring. Open May through October, you’ll find Casa Loma also features special events on weekends including musical performances. Rest and relaxation is the theme at Toronto’s Centre Island. Take the 10-minute ferry across to the Island where you’ll bask in peace and tranquility while enjoying the view of the cityscape. Whether going solo or with the family, pack a picnic, rent a bicycle and take time to recharge. 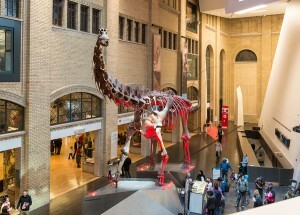 Celebrating its second century, the Royal Ontario Museum is home to feature exhibitions curated from around the globe along with galleries including Natural History and World Culture. Those who enjoy hands-on experiences can view galleries such as the Kid’s Discovery Zone, which encourages interactive learning through a variety of displays and games. Guided museum tours, along with walking tours of Toronto are also available through the Museum’s guest services. From European to Canadian and Modern to Contemporary, the Art Gallery of Ontario houses an incredible diversity of collections. Whether you wander through the galleries solo or by a guided tour, you can reserve a spot at the Gallery’s restaurant Frank, which offers a menu incorporating global cuisine. With crowds of people and a buzz of activity, Toronto’s Chinatown is the second largest in North America. Situated in the heart of Toronto’s fashion district, the Dragon City Mall offers elegant Asian fashions and restaurants. From the corner of Spadina Avenue, fresh food markets run along Dundas Street West as well as restaurants featuring Chinese, Japanese, Vietnamese and Thai fare.. Situated at nest to the CN Tower, Ripley’s Aquarium boasts 15,000 different types of sea creatures, including what many find most appealing – the wide scope of shark species. 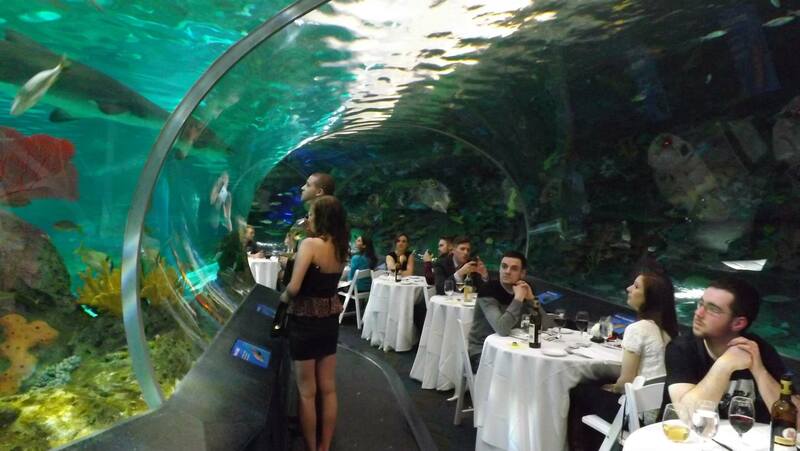 Swimming above you in observations decks, this sea spectacle appeals to a range of audiences. Avoid the mad rush on weekends and check the place out during a summer week night. Home to the Stanley Cup, the Hockey Hall of Fame is an interactive attraction that allows you to experience Canada’s game while learning more about the legendary hockey teams that changed the face of the sport. From taking shots on goal to calling the play-by-play on some historic goals, hockey fans of all ages will feel as though they’re standing at centre ice. Featuring collections from historic time periods, geographic regions and cultural groups, the Bata Shoe Museum is your opportunity to get your foot in the door. With more than 12,000 artifacts, the Museum’s permanent collection highlights the diversity and scope of footwear while time-limited exhibitions feature fashion and style icons. The Museum also offers family-friendly programs for children including fairy tale themed exhibits. With these top 10 places to visit in Toronto in mind, we hope you will have a wonderful stay in Ontario’s capital.